Sometimes people come near the end of their life, whether they are young or old, without having made any preparations for it and without letting their loved ones or carers know what their preferences are. Especially when someone fairly young has received a diagnosis of a serious illness that could end their life suddenly, it can be difficult to broach questions like, “what sort of funeral service do you want”, or “where are the keys to the safe kept”? Sometimes the person or their carer or loved ones feel that they are hastening the person’s end or removing their will to fight any illness by asking questions like these. But we will all die one day, sooner or later and these kinds of questions need to be asked, otherwise those left behind can face a very difficult time. They may need to sort out a will. Was there one? Is it the most up to date? Where are the business accounts? Are there any other bank accounts? Is there a relative far away who needs to be contacted? How? Answering these questions can help support loved ones even after they are not here. Some people may have decided ideas on what they would like their funeral to include. They may even have written these instructions down or saved them on a computer. But who knows that these instructions are there? Do they know how to access them? Sometimes, these wishes are only found AFTER the funeral is over and it’s sad to know that something could have been included but wasn’t because no one knew. Writing a journal for end of life does not need to be depressing and it doesn’t necessarily have to all be done at once, unless the person is seriously ill with a poor prognosis. It can be a way of celebrating the person’s life and sharing memories with others. A journal that is bound and kept safe can be available at any time with all the instructions necessary for carrying out the person’s wants, even before any will is read. Putting everything down somewhere accessible can help the person be more comfortable and at ease, knowing they have set their affairs in order. And a bit of humor and thought provoking quotes can make the process enjoyable and even fun. 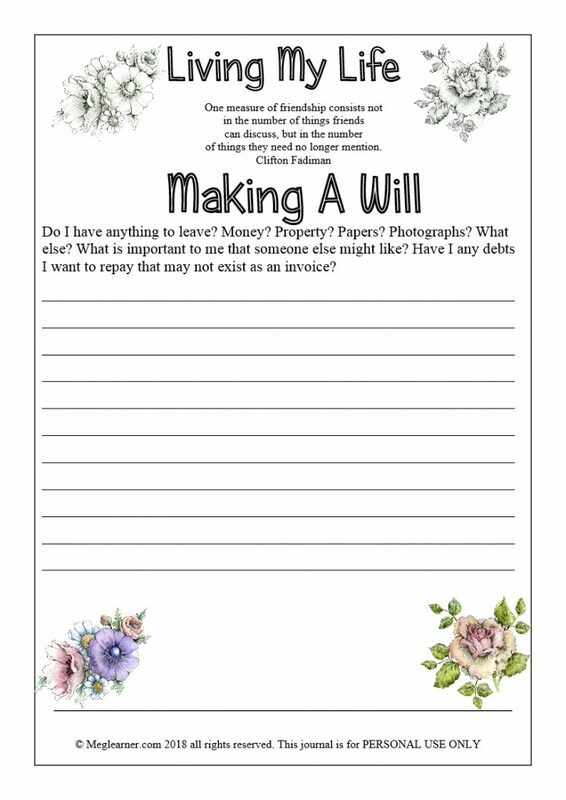 It is important to keep a copy of the journal, especially the funeral preferences because a document like this may be kept by the hospice or hospital and released only to a solicitor, etc., and the funeral wishes not released until AFTER the funeral took place! The pilot journal has been substantially modified following feedback. 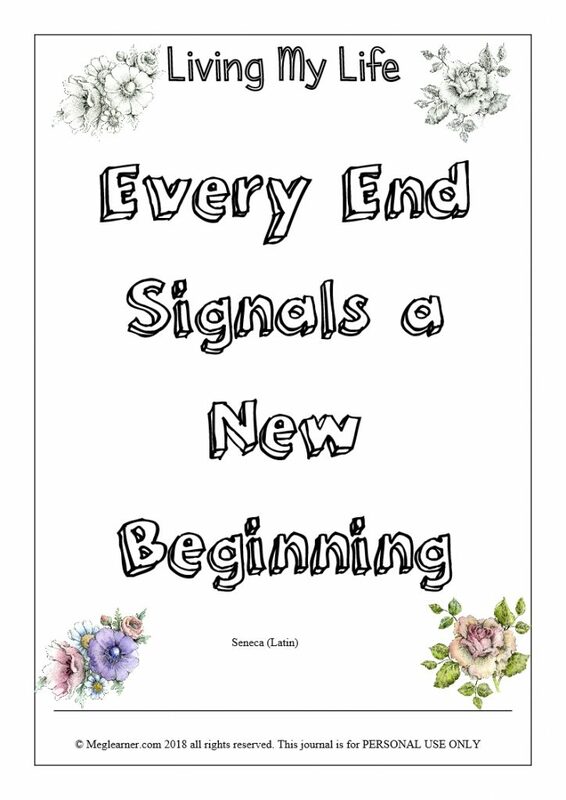 The revised (purchasable) version of the End Of Life Journal can be seen and purchased here. 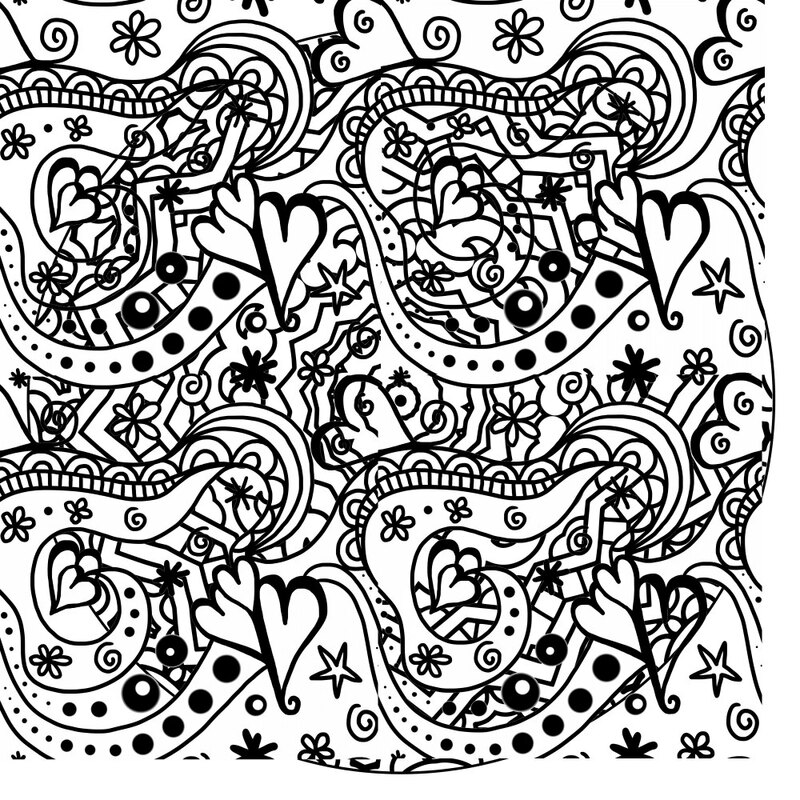 What Is A Zentangle Used For? If you have never heard of Zentangle before, it is a unique type of artwork that can be created using repetitive patterns. 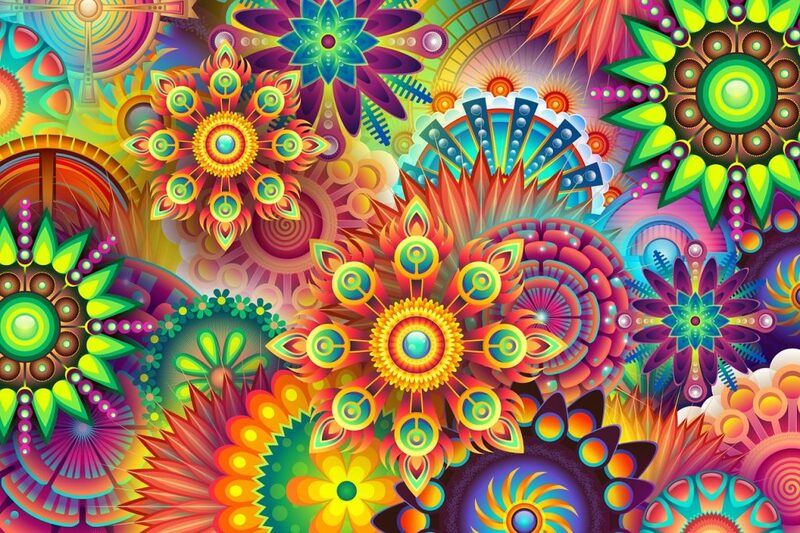 It might be referred to as doodle art, or even similar to drawing mandalas, but it is much different. Let’s take a look at what Zentangle is, why people do this, and also why you may consider this to be one of your favorite activities once you get started. This is a relaxing, easy to learn, method for drawing. Even if you have no prior skills with drawing anything, or you do not have basic artistic capabilities, it’s not going to matter. It was designed to help people not only relax, but could accommodate those that were able to draw simple structured patterns that could be used in order to create beautiful artwork. Most of us have seen many beautiful works of art, including sketches, that seemed far beyond our abilities. Whether we are looking at portraits of people, or Celtic art which involves spirals and unique designs, we might believe we could never do that. 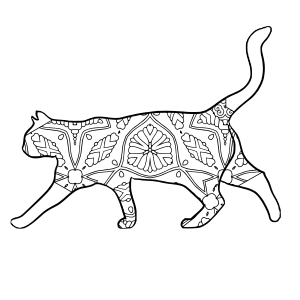 However, this is where Zentangle comes in because it teaches you how to create beautiful repetitive patterns that can be used to create artwork that almost everyone can do. It does not matter about your artistic background, your age, or whether you are fond of painting or drawing. It is designed to be that simple and effective. Therefore, the reason people enjoy this is they are astounded by the beautiful creations that they can make using this simple strategy for creating these drawings. It allows them to explore, tapping into that inner artist that we all have within us, using this uplifting methodology for creating art. What Are The Characteristics Of Zentangle Artwork? 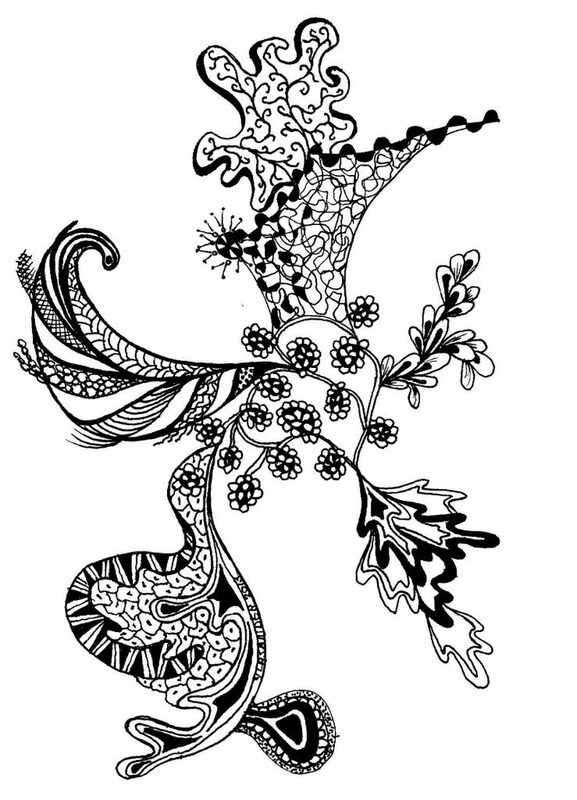 There are many things that a person will experience while they are creating Zentangle artwork. First of all, they will become much more intuitive. You have the basic schematic for creating these repetitive patterns, and from those you can begin to design different expressions of your own feelings and thoughts into art form. 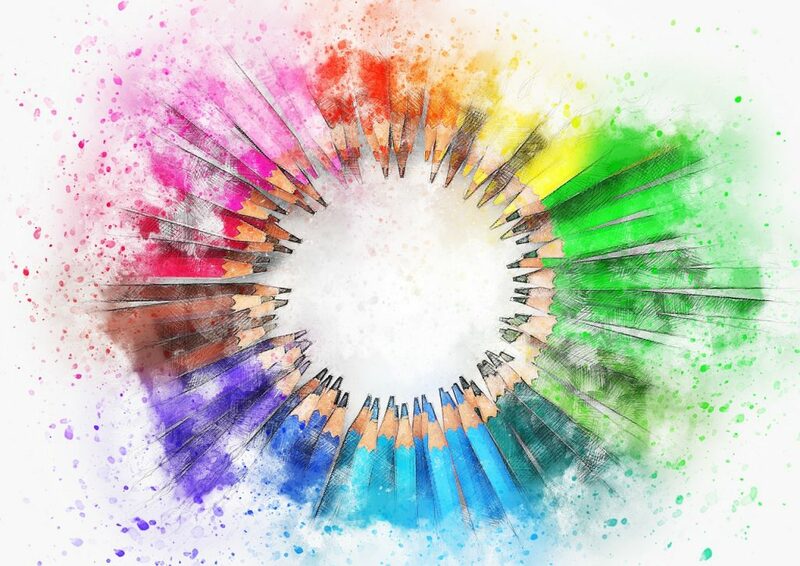 It is also fun and relaxing, something that you can either do on your own, or you may want to do with someone else that would also enjoy a way of expressing themselves through art. Best of all, this is something that you can bring with you, wherever you go, as everything that you will need to create this artwork can actually fit in your purse or pocket. Some of the benefits that people report include feeling so much more relaxed, helping them to deal with the stress of the day. It can also help individuals that suffer from insomnia, and they will do their drawings before they go to bed. It can also help with your self-esteem, curb panic attacks, and modify your behavior in a positive manner. Zentangle will definitely help you improve your hand/eye coordination, and also bring out your creative abilities that may have been latent all of these years. 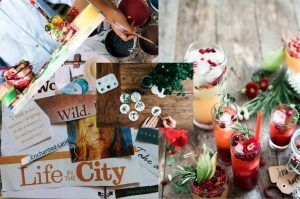 You can visit their website online to learn more about this unique and fun way of creating stunning visual art. They will talk about how it started, how to begin, and go into detail on the method itself. It also goes into the theory behind the Zentangle Method, embracing the fact that every decision we make is like a stroke, each being conscious and deliberate. In the same way, this method allows you to make deliberate strokes to create your artwork, and by focusing on each individual stroke, this is how you can learn to calm your mind. It will allow you to tap into that creative part of you that you may have never known about, and it’s all possible because of the Zentangle Method. Now that you know a little bit more about what Zentangle is, and how you can learn more information about this unique way of creating beautiful drawings, you should consider doing this on your own. 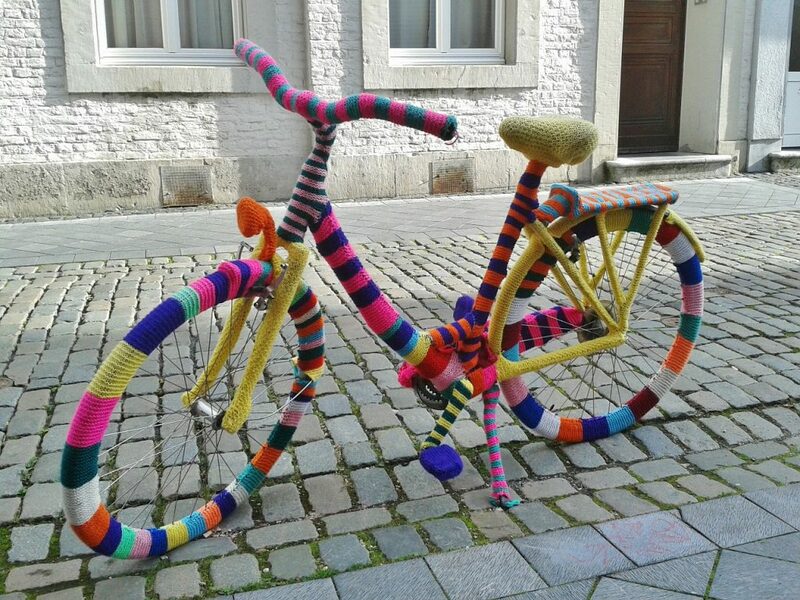 You can visit their website to learn more about this form of art, and see examples of what other people have done. There is also a blog and newsletter where you can learn more information, and there are also products that can help you get started. 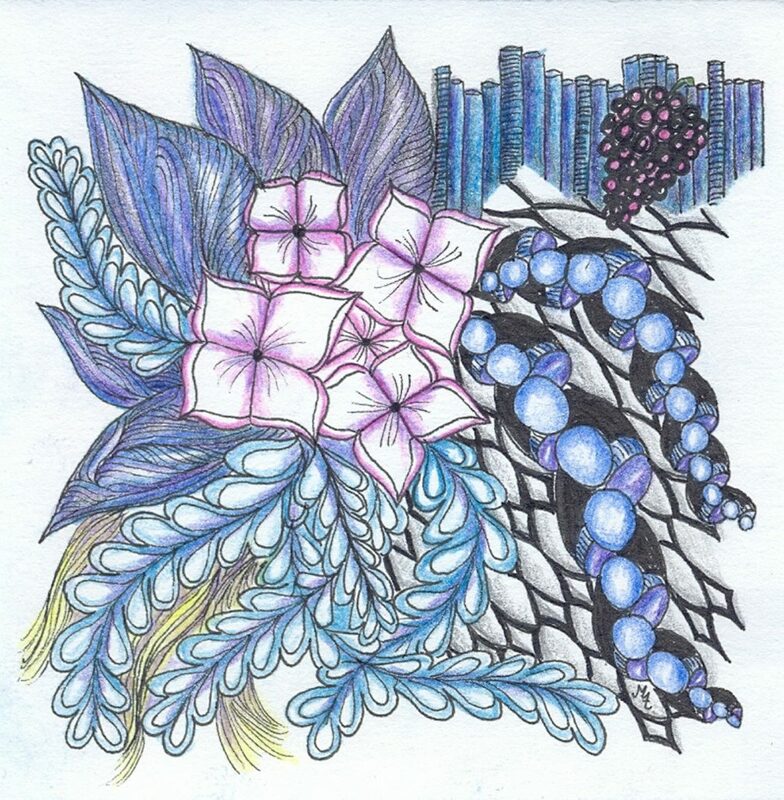 It’s going to make it very easy for you to immediately begin creating these unique drawings that are only possible because of the Zentangle Method.